Administrators and school system leaders know that healthy learning facilities promote academic achievement, as well as student and staff well-being. Classrooms that are clean and free of distractions keep the focus on learning. Now, more than ever, proactive school decision-makers are making efforts to keep schools environmentally friendly by turning to green cleaning. Not only are green cleaning products better for the environment, but there have been recent discoveries that traditional cleaning products can expose children and staff to chemicals that have been linked to health problems. For one, the ingredients of green cleaning products don’t cause or worsen asthma, which is the most common chronic disease among school-aged children, as well as the leading chronic illness that causes children’s absence from school. Studies have confirmed that the use of conventional cleaning products is associated with the risk of asthma. Green cleaning products steer clear of using chemicals that can cause asthma and limit those that aggravate the disease. Additionally, green cleaning products are able to sanitize without antibacterial agents, which have been found to foster bacterial resistance to antibiotics. Also, the chemicals in green cleaning products are better for the environment. They do not contain ozone-depleting chemicals, are less harsh on aquatic life, and have fewer smog-producing chemicals. The environmentally friendly products also attempt to reduce greenhouse gas emissions from shipping and are packaged with recyclable materials. 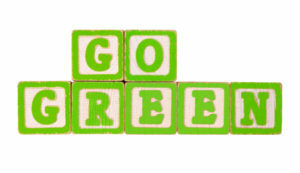 Not just better for the kids, green cleaning products are safer for the workers who use them, too. Custodial chemical injuries cost $25 million each year in lost time and workers compensation, which also means they’re spending less time keeping schools clean. Traditional cleaners use harsh chemicals that can burn the eyes and skin, whereas green products contain ingredients that will not irritate. Green cleaning products promotes healthier students, staff and workers—and a healthier environment, too. Jani-King is committed to providing safe and responsible janitorial services in schools and for all other jobs. Armed with environmentally preferable products, equipment and processes, Jani-King helps keep schools thriving and students learning.